In a narrow vote the Australian Senate today (Thursday) defeated by 36-34 a move to permit the Australian Capital Territory and the Northern Territory to enact laws on euthanasia and assisted suicide. Most of the Australian media was campaigning for the pro-euthanasia move. A lot of work went on in the background with the group established by Paul Russell (Hope) encouraging a joint-Party meeting for Senators and staff to hear from two experienced Doctors from Victoria. Language played a big part in the campaign. The pro-euthanasia group sought to describe their aim as “support for voluntary assisted dying” but the title of their legislation gave the game away. The legislative Bill was entitled “Restoring Territory Rights (Assisted Suicide Legislation) Bill”. This enabled [the opposition] to question the contradiction between supporting assisted suicide on the one hand and Governments spending taxpayer funds on suicide prevention on the other. The Green Party Senators must have realised this had been a mistake and drafted an amendment to change the title to the “assisted dying” legislation but they never got to move it because the Bill was defeated at the Second Reading stage. The rejection means that legislation remains in place preventing the Australian Capital Territory, in particular, from adopting euthanasia and assisted suicide. Its Legislative Assembly had initiated an Inquiry which was heading in the direction of recommending the introduction of euthanasia and assisted suicide but any recommendations it makes on this subject will now be useless. 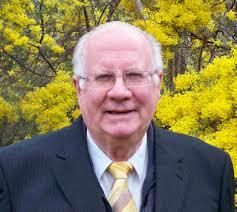 Denis Strangman lives in Canberra, Australia. He is the former chair of the International Brain Tumour Alliance. He was also a 2014 nominee for an award for public service by the US Society for Neuro-Oncology. (See last article, page 3).